Susan Good, is the owner and primary writer for the award-winning HoneyGood.com website, a fashion, food and lifestyle blog she founded in October 2012. She is the wife of real estate auction pioneer, Sheldon F. Good, as well as a mother, daughter, grandmother and great grandmother to 25 “GRANDS” who call her “Honey.” And she is a girlfriend to many. When Susan’s first grandchild was born in 1987, her daughter selected “Honey” as her grandmother name because it so aptly suited her personality and outlook on life. Today, Susan Good is called Honey by her entire family and the Honey Good staff. I am a woman with many titles who wears many hats and loves life to its fullest. I walk on the sunny side of the street. I love to ‘shop till I drop’ and I own my own style, thanks to my 96-year-old mother, my teacher and my friend. I have plenty to say to the billions of women worldwide, including Baby Boomers who are turning 65 at the rate of 10,000 a day! In a weekly piece, Honey offers tips on how to survive every situation from losing one’s car keys in the onion bin to packing for that fabulous trip. Topics reflect the trials and tribulations most women face during this challenging yet invigorating passage. 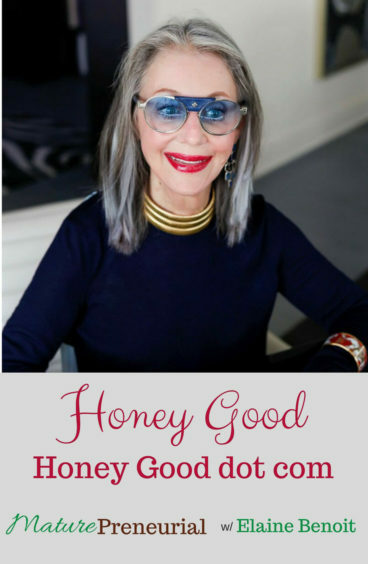 With a PhD in life thanks to her large and colorful immediate family, poignant personal history and sophisticated lifestyle, Honey Good has a lot to say about everything– and does so with passion, verve, humor, acumen and wit. She is giving an age-old ‘character’ – i.e. the proverbial grandmother – a fresh, hip, new-age voice. Her posts are savvy and fun, yet also relevant and substantive. But above all else, her content is authentic at a time when authenticity is king. She, her husband and their beloved Wheaten Terrier, Orchid, split their time between homes on Chicago’s Gold Coast and in Rancho Mirage, CA.They have traveled to 67 countries, including Iran, Syria and Antarctica, and with their pooch Orchid always by their side, they visit their children, grandchildren and great grandchild who live in seven different U.S. cities. Let’s talk about why you are called Honey? 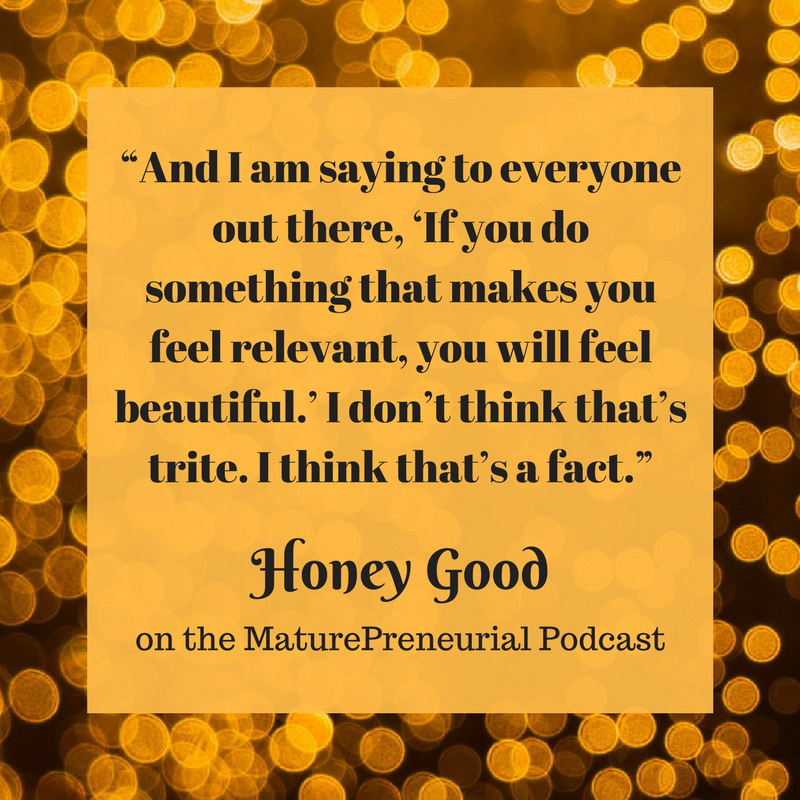 When you decided to start Honey Good, did you have a vision of what you wanted it to be? When your friend put up the journal pages, did he design the website? What was the most successful idea you implemented for it? Do you have something that didn’t work out that you had to change tactics to fix it? When you started your venture, did you come up against any resistance and how did you overcome it? Have you had conversations with them or how have you overcome them, or is it still going on and there is no way to overcome it? Did you know this before you started this endeavor or it just came to fruition after you sat down and started doing it? When is it going to go live?